One of mine and my boyfriends favourite meals is gnocchi. We love it with a red pesto or a delicious green pesto and loads of veggies or it's great with a veggie burger, some quorn chicken pieces stirred in or a fillet of salmon. 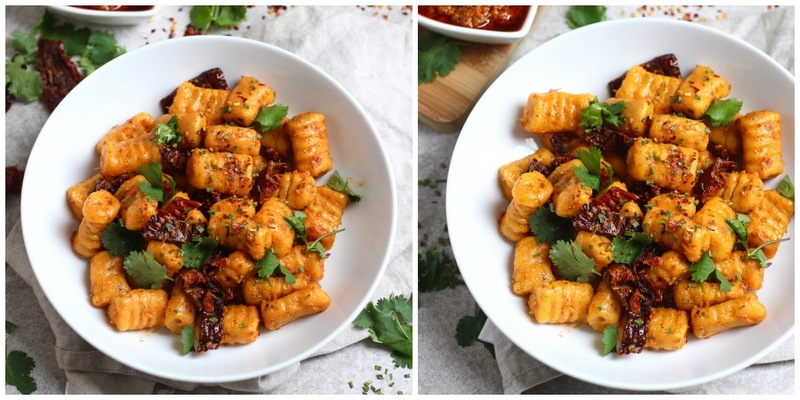 We always buy ready made gnocchi (this brand) but the other day I decided to get create and make my own vegan, gluten free sweet potato gnocchi! Honestly I expected it to go very wrong and be a total disaster, but it was a success! Thankfully I wrote down the full recipe so I can share it with you. The great thing about this recipe is that although it sounds very fancy and impressive when you say you've made your own gnocchi (a great dinner to make when you have friends over!) it's actually an incredibly easy, quick and cheap recipe. You can jazz it up with any spices or herbs that you like and it should keep in the fridge for a few days too! 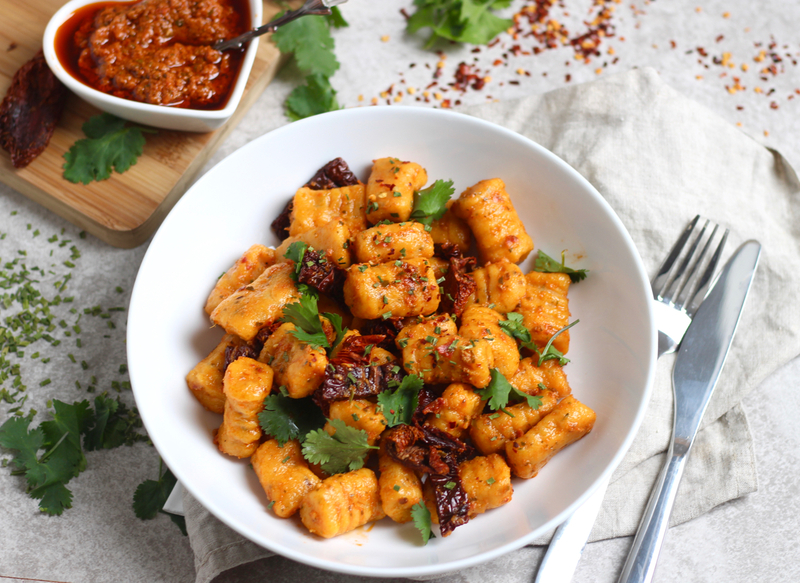 The sweet potato makes this gnocchi have a beautifully rich taste as well as a beautiful orange colour that's brought out even more if you stir in some red pesto and sun-dried tomatoes like I did! It would also be scrumptious with a completely homemade sauce of passata, onion, garlic, herbs and added veggies such as courgette, aubergine and spinach.